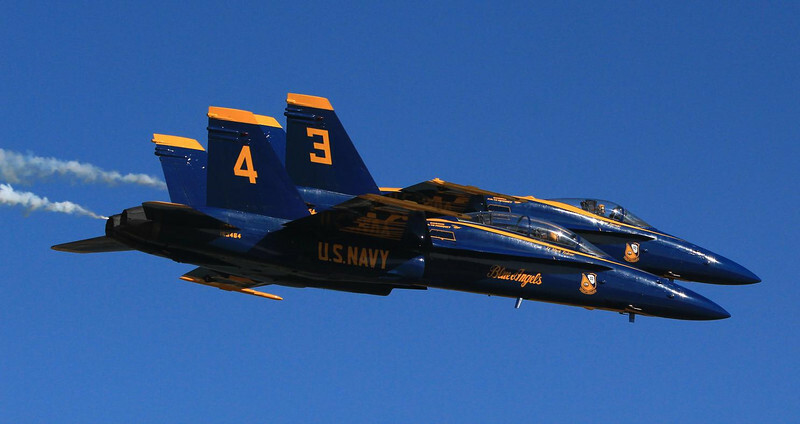 Blue Angels F-18's are almost pure factory stock. One change is the stick pressure, which has 40 pounds of resistance dialed into it to force constant pressure and eliminate the zero zone of motion play. The smoke pipe is the other primary add and gets its smoke oil from a tank placed where the guns normally rest. These aircraft come directly from normal fleet inventory and are fully combat ready except for the aformentioned changes.